Home »General Life»Why is Canon Dragging its Feet on 4K DSLR Video? But, the times have changed. 4K TVs are now common and prices have come down. Netflix, Amazon and YouTube all stream 4K content. Have you seen Orphan Black in 4K? It’s jaw dropping! 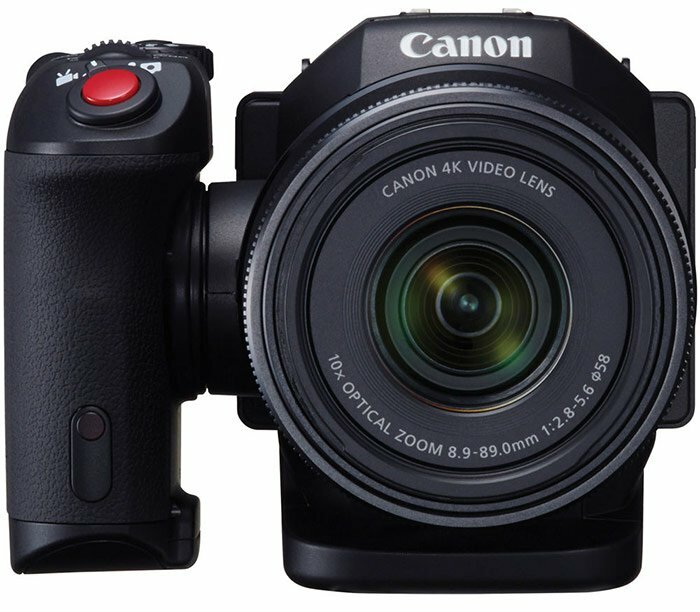 One thing that hasn’t changed is Canon’s position on recording 4K Video on DSLRs. Canon, the market leader in digital photography, just released a batch of slightly warmed over Camcorders at CES and not one is 4K ready. Sony, the Number Two company in digital photography, is putting 4K on everything from HandyCams to Xperia Smartphones to the pocket-sized RX100 IV. Why is Canon still dragging it’s feet? There are several issues with recording 4K Video in a compact form like a DSLR — battery life, media speed and an over-heating sensor. Canon solved all of these issues in the expensive Cinema EOS line but stopped there. Is Canon giving up innovation to Sony? I was seriously thinking about the Sony a7s II a few months ago. It packs some real innovation. Not only does it shoot 4K Video, but it also has built-in 5-axis stabilization. After spending time in the Sony booth at PhotoPlus Expo, I decided against it for several reasons. It’s small. If you have big hands and are used to a full sized DSLR, the Sony a7s II is tiny. It also has a limited line of native lenses. Yes, you can use an adapter for the Canon EF mount, but the responsive speed of the lens takes a hit. But, most of all it’s a very complex little camera with lots of menus. I remember asking the Sony rep some specific questions and she spent a few minutes really digging through the menus. She eventually had to reset the camera to start over. I left out that the Sony a7s II costs over $3000 and Sony has a vicious habit of releasing refreshed models every year with minor updates. So, I decided to wait. I was wandering around B&H, looking at the new 4K camcorders. Of course, there were the Sony HandyCams. Just by chance, I walked through the Pro Video section and asked about the Canons. That’s when I saw the little Canon XC10! It was perfect! It shoots 4K Video in a DSLR-like form with built in stabilization. And, it’s cool. After reading up on it and viewing lots of sample 4K Videos, I went back to purchase it. With one last pass through the Pro Video section, I actually ran into an Indie DP who saw me looking at that XC10. He could not stop raving about it. He confirmed what I had read. The Canon XC10 fits perfectly into the work flow with the Canon Cinema line. Picture quality was amazing and it’s stabilization made hand-held video a reality. I decided to invest. I shot my first 4K Video of Christmas in NYC below. It’s a great camera. But, why is Canon still dragging it’s feet?